Automártin is an audiovisual project from argentinian artists Sonsoles Romero and Martín Duarte. 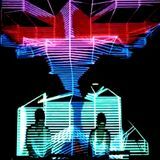 They generate animation and videos to interact with their own music, a style that oscillates between electronic and rock. Their live performances work like an intense gear of their own audiovisual language. Now they are back in Argentina to finish their first LP, which includes a selection of the project’s first two years.